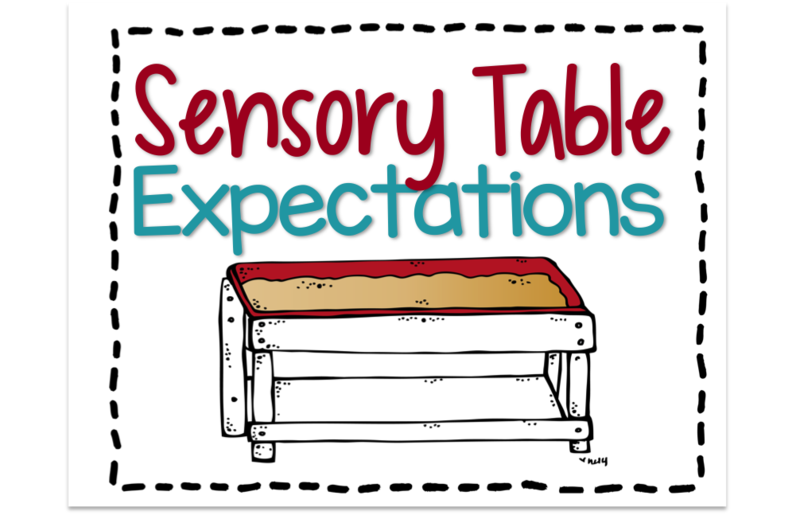 Sensory Tables: One of the Best Tools For Differentiating Your Instruction. I Promise. Before I get started, I’m going to warn you, this is gonna be a big post. I have a ton of stuff to show you, I have questions that I want to answer, and I want to give all the information I can. So grab yourself a beverage, make yourself comfortable and get ready.I recently polled my Facebook readers, because I was curious about how many kindergarten teachers especially, still use sensory tables or some kind of sensory ‘play’ in their classrooms. I was so incredibly bummed by the number or teachers that have been mandated by their administration to remove sensory play from their curriculum. The reasons? “No time . . . no room . . .not rigorous . . . not academic . . .” So I’m on a mission to save our sensory tables. 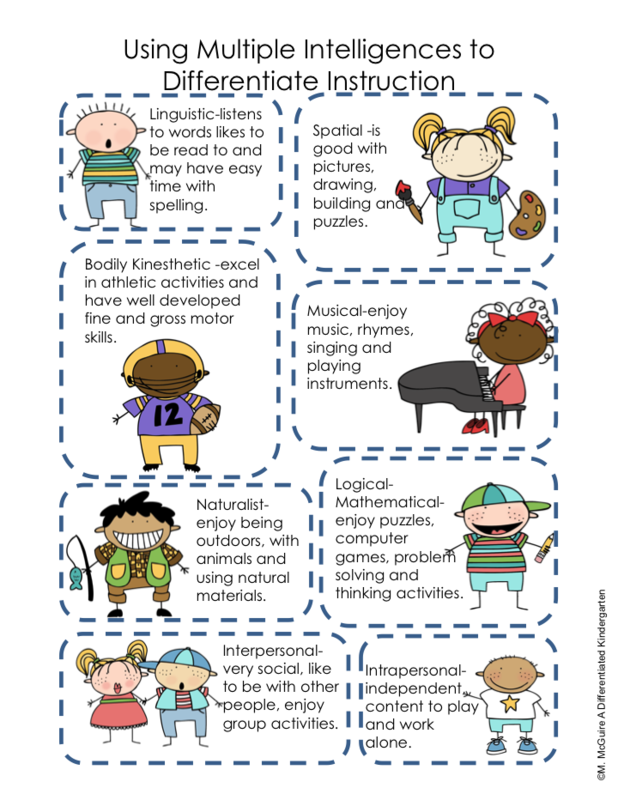 I know you’ve seen these visuals before, but these little posters really bring it all together and show why we need to keep these valuable early childhood activities alive in our classrooms. Differentiating isn’t JUST about meeting academic readiness. (Don’t tell them I said this, but I think some administrators think that’s all differentiating really is . . . I’m a lucky one that has an administrator that knows better! ) It’s also about keeping these little guys engaged, feeding their interests and setting the hook for learning. Our learning profile considers the different ways that we are most comfortable learning, how we demonstrate our understanding and our intelligences. If you look at the Multiple Intelligences chart below, you can see all kinds of MI categories that would benefit from sensory work. Kinesthetic learners need the movement and feel of the sensory table. Linguistic learners enjoy the dialogue associated with working with other students at the sensory table. The interpersonal learner loves working with other students. The spatial learner develops stories and scenarios for play based on the contents of the table. 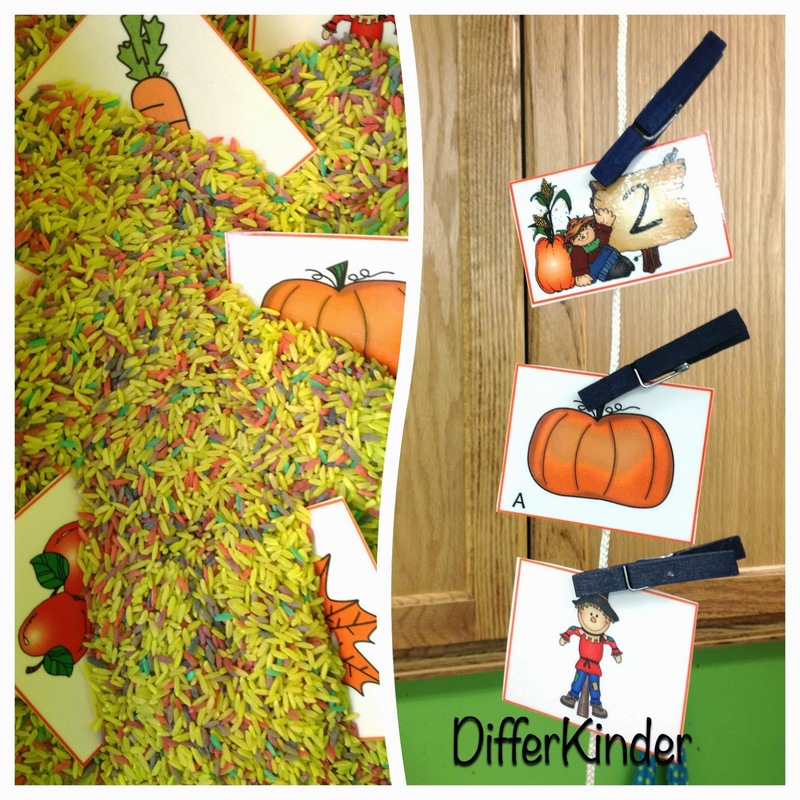 The logical/mathematical learner loves the sorting and classifying of materials. 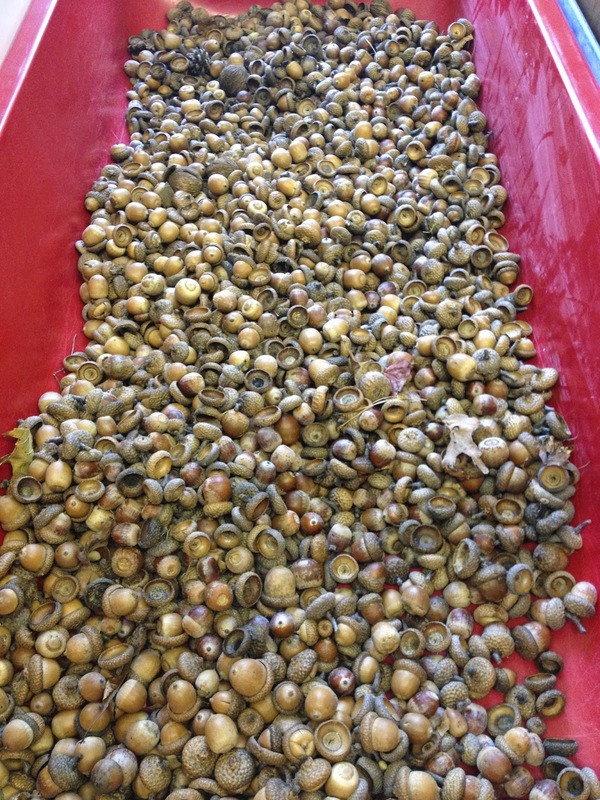 Depending on the materials, the naturalist can even be engaged by a shell collection or different types of rocks added to a sensory table. I could go on, believe me. What I’m trying to say is, it’s differentiation at it’s finest and isn’t that what every administrator wants to see happening in your classroom. 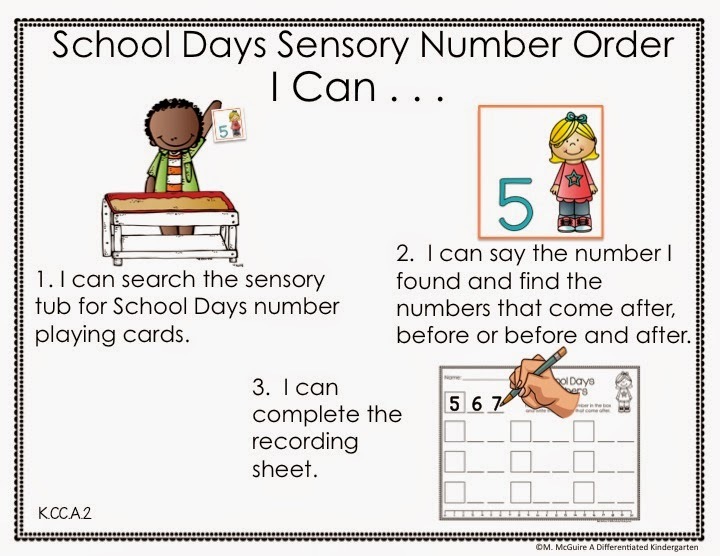 I think there has been this misguided notion that sensory work is ‘fluff.’ So in an effort to bring about a different notion, to give sensory work the reputation it deserves, I’m here to offer you some visual proof that a sensory table work is not only academic, but it can be aligned to Common Core Standards, address learning profiles, interests and readiness levels of students. Here’s just a few ways I’ve used them in my classroom. 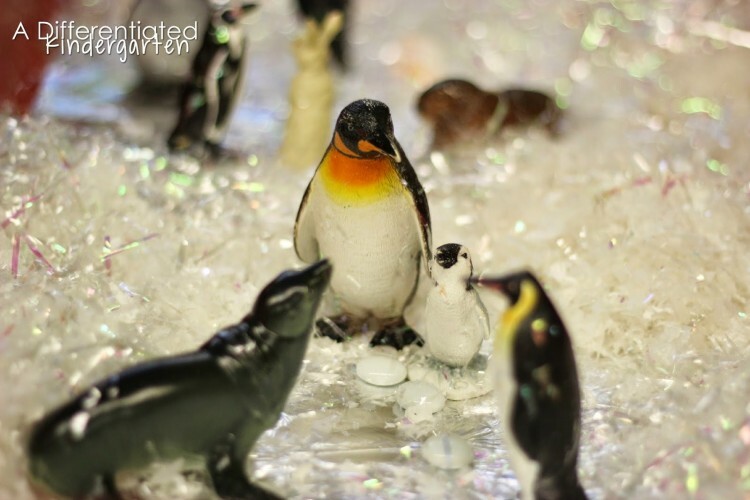 I love bringing in seasonal themes to make my sensory table even more engaging. 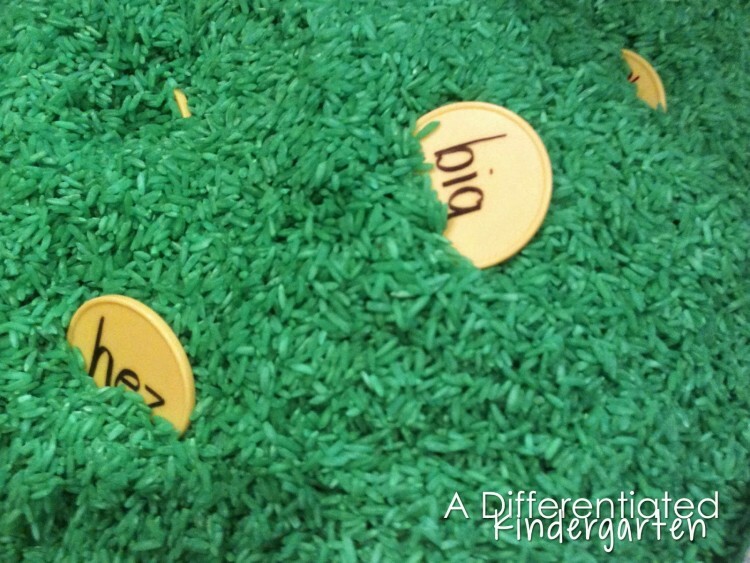 Shredded paper in the spring also doubles as grass for a bug theme. 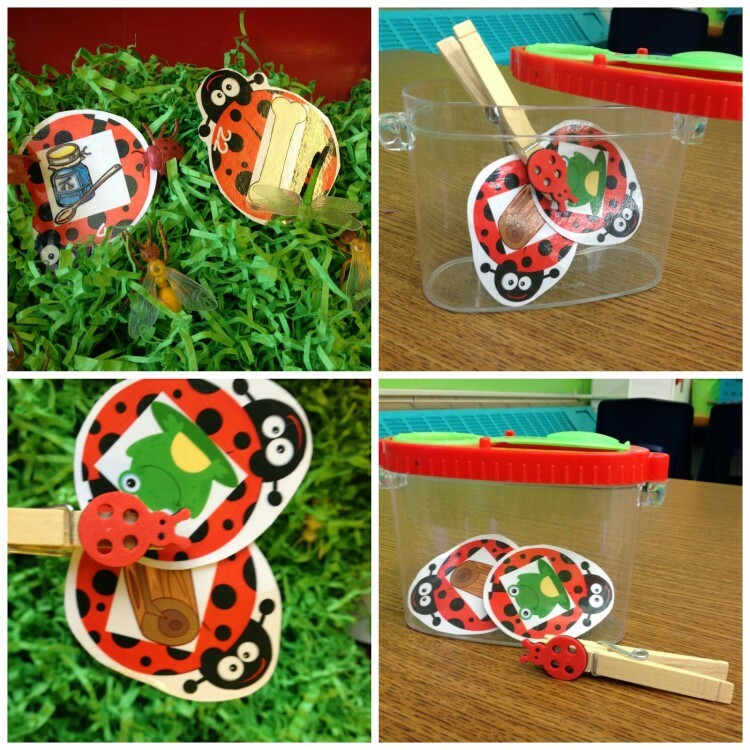 And when you add a clothes pin with a foam lady bug and a bug catcher cage (Dollar Tree item!) then it’s an instant hit! If you’d like a copy of this activity, just click HERE or on the picture below. So now you’re asking yourself, how do I get started. Where do I put the stuff, won’t it be expensive, how do I keep it under control? Let me try and answer some of your questions. 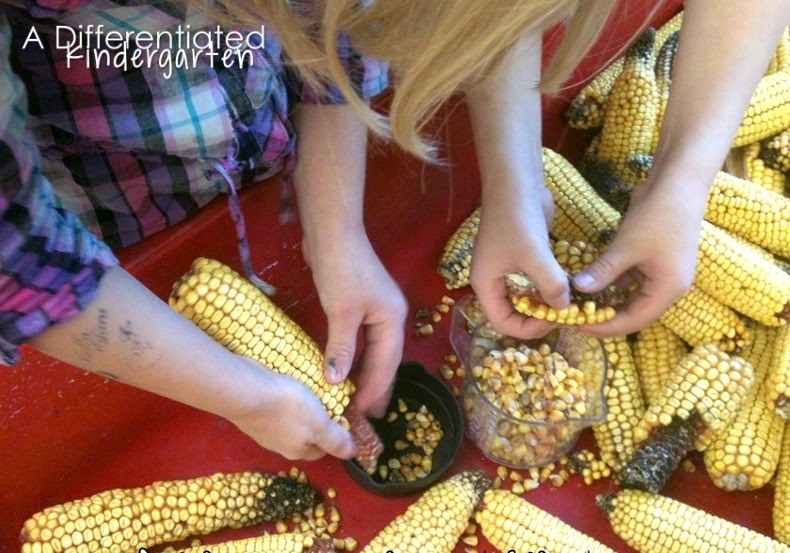 Yes, a sensory table is a wonderful thing to have to do sensory work. This is mine. It’s NOT my favorite, but it does the job. It has a lid, a removable tub and the tub has a drain. But let’s face it, for being a big piece of furniture in my room. It’s kind of ugly. If I had my choice, I would get one of those heavy, wooden ones with two tubs and a shelf on the bottom. Now that would be AWESOME. But let’s face it, you don’t REALLY need a table. I have two of these short sided tubs and I’ve been known to use a small box, tote or bucket. 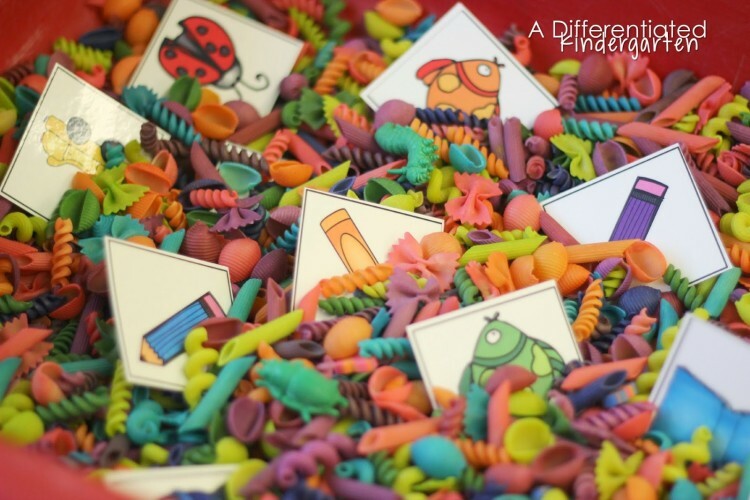 You really don’t need anything new or fancy to make sensory activities work in your classroom. And your kids won’t care what you use. Trust me. This is a big one. I know many of you worry about the cost of filling a table or a tote. However, you can get really creative and it doesn’t have to break the bank. 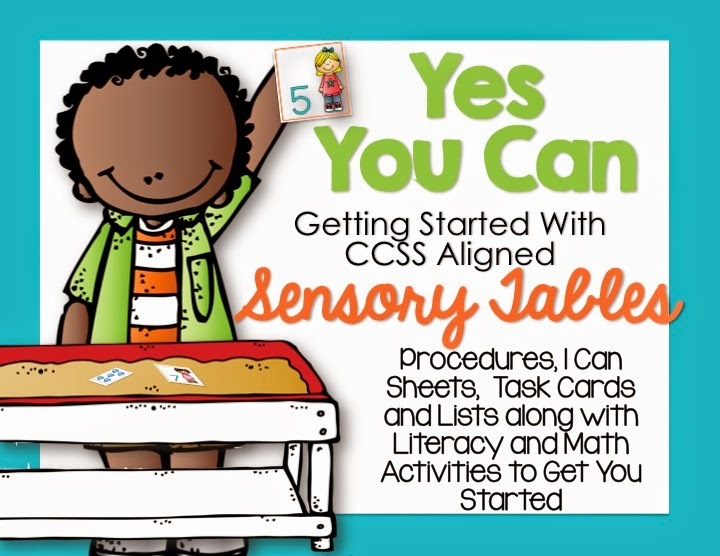 I’ve also had teachers tell me that when they are planning for sensory materials, they often add the items they are needing to their newsletter and parents can often help them out. I actually keep a list of ideas and items for each month of the year in my planning binder. They’re part of my Getting Started with Sensory Table Activities Pack and will be included in each new monthly Sensory Table pack as well. I like to use items that will last a couple of years. I have my kids wash their hands before and after they use the table so in my mind, there aren’t as many germs (right?). 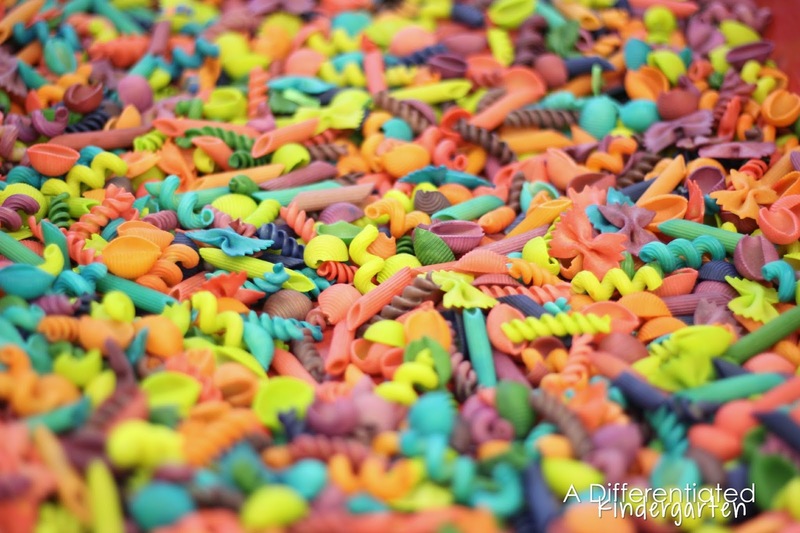 In any case, colored pasta is always a good way to start the year because it is large and with it you can easily teach clean up procedures. And the color . . . I love using the neon colored food coloring for these because it just turns out so pretty. 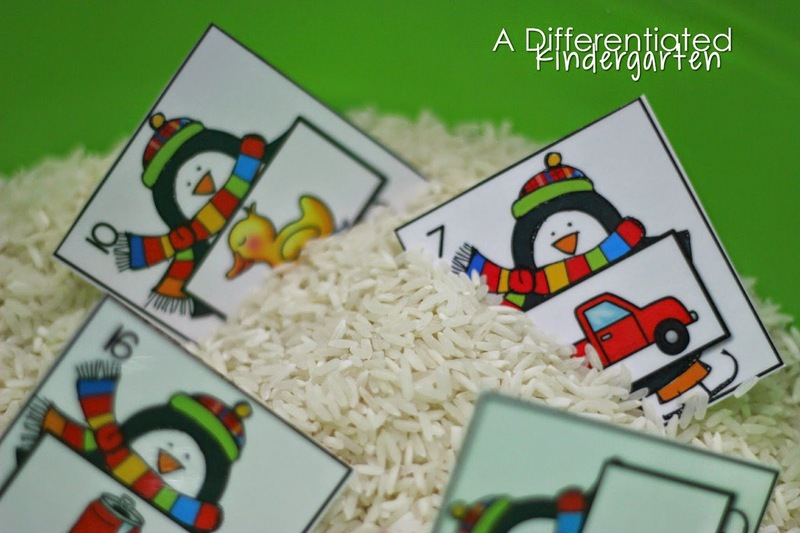 Rice is also a good material to use. In the winter months, just white is just fine, but of course, dying it makes it spectacular. Green for St. Patrick’s Day with discarded gold carnival tokens (I printed real and nonsense words on them.) Who doesn’t like searching for gold? Natural items are fun and cheap. 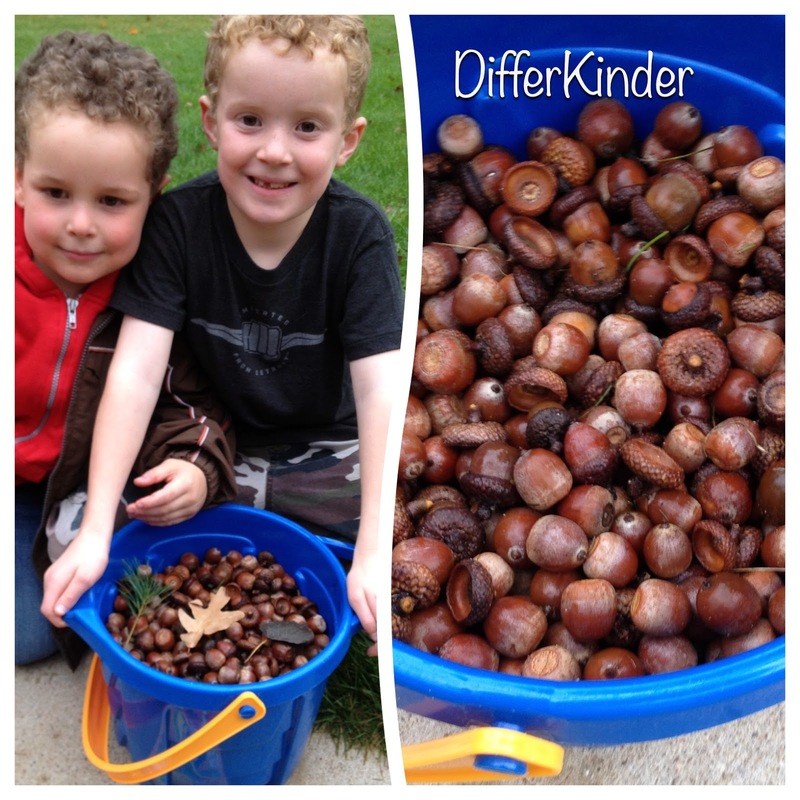 I can usually wrangle a couple of boys to collect acorns each year for me, but you can almost anything you can find outside. Colored sand just makes things POP! 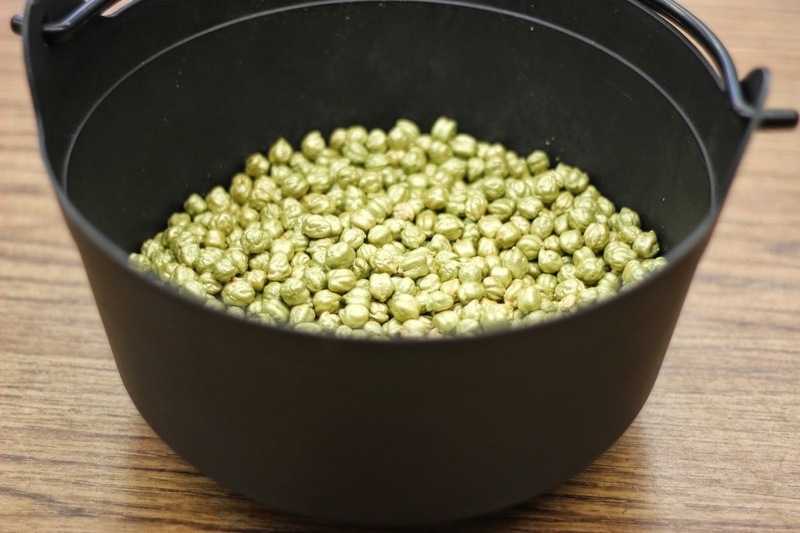 How about some garbanzo beans painted gold as in leprechaun’s gold for St. Patrick’s day? And hey, a pot for your gold is the perfect container for some St. Patrick’s Day sensory fun. 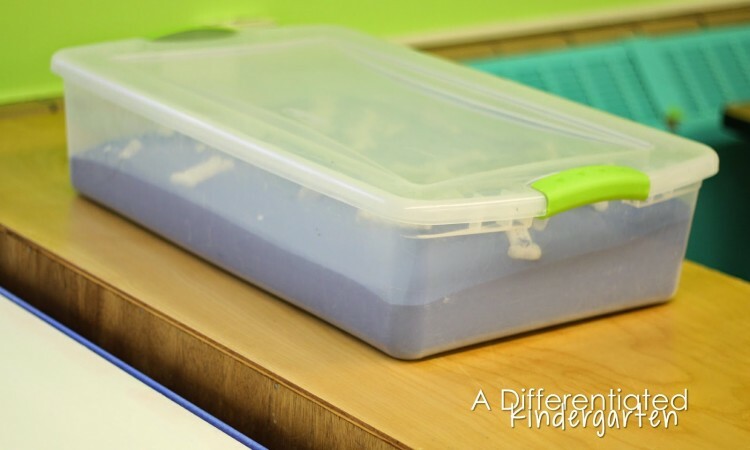 There’s a couple of tips I’ve picked up from using sensory tables over the years that will help you stay organized. First of all, I like to keep all of the items that a student is going to need close at hand. Under my table you’ll find a small drawer system, my extra sensory tote, and other materials I may use for that particular set of materials. I change things out as the contents of the table changes. You’ll also notice I have some command hooks hanging from the sides. I do that so when and if there are response sheets (I like to laminate mine when I offer them.) 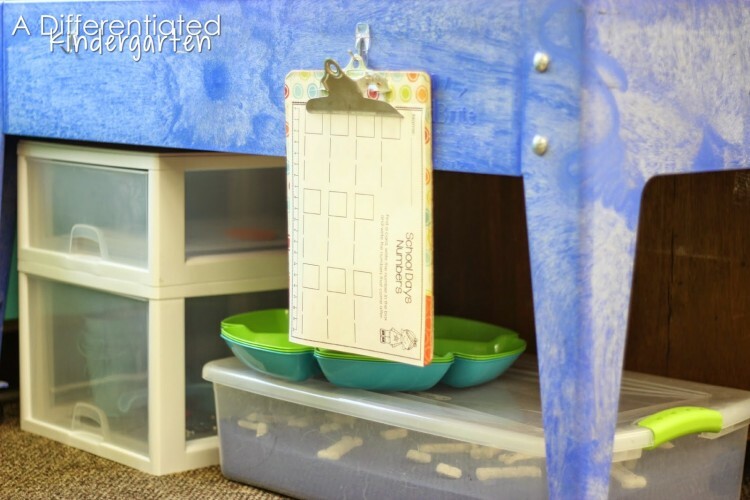 that go along with the activity, students can have a place for their response sheets without putting the clipboard IN the table. In the top drawer of my container, I keep my response sheets and instructional/I Can cards. 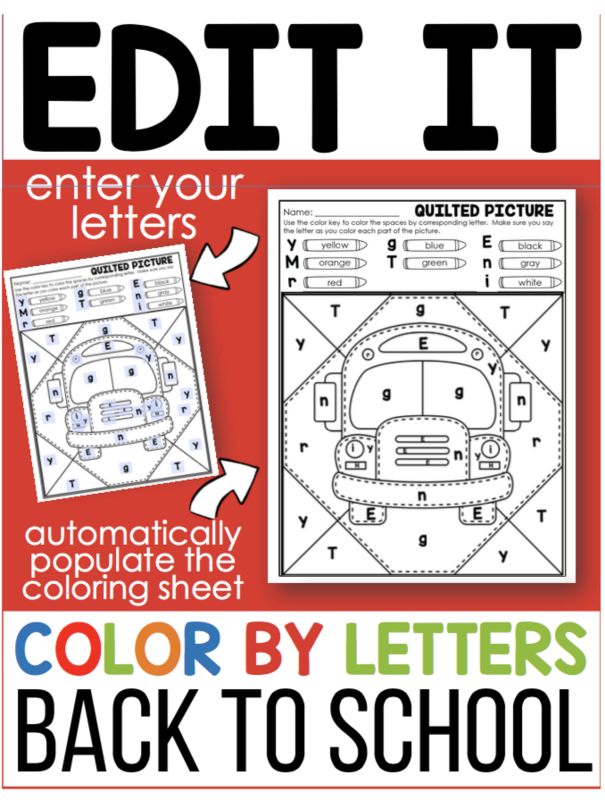 If they are differentiated, there will be three different envelopes with coordinating colored dots. I also have clean up materials (Don’t you love my Dollar Tree dust pan and broom? ), various containers for sorting (I’ll show you how those work in a minute, and things like scissors, hole punches or any other materials that correspond with the tasks cards for the materials that are in the table. 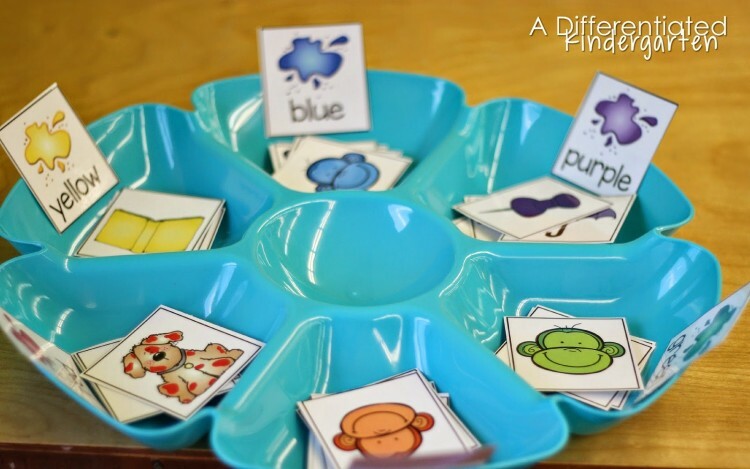 I often allow my students to choose how they want to sort their items, either in buckets (Stick a little velcro on the back of the cards and on the bucket for quick change over of sorting labels.) this sorting tray (Dollar Tree . . . again!) or from a rope with clothes pins. Everyone loves a little variety. How will my students know what to do? I have instruction sheets for the main activity. They look something like this. But I also have modeled the activity prior. 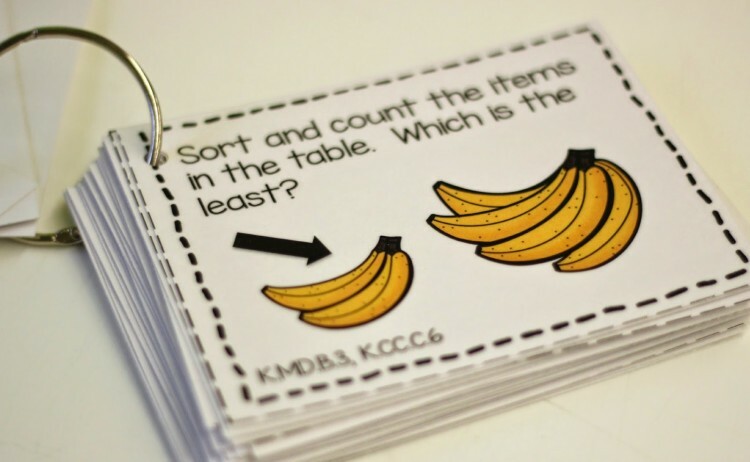 When students complete the activity, they have a set of task cards that I have chosen for them to use and that make sense to use with the materials in the table. 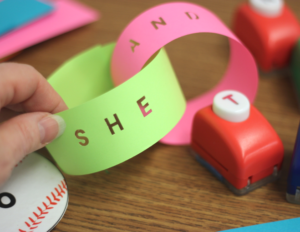 Students can look through the task cards and choose an activity. The task cards are all aligned or address a specific skill. So when your administrator walks in and ask what on earth your students are doing at a sensory table, you have the standard right there to show them. As with anything, this is a station you need to model, demonstrate expectations, make the expectations visual, follow through and establish a routine. It will take some students no time at all. They will catch on the first time. There may be a few that will have to have more practice than once. They will need to be excused from the table if they can’t remember how to use it. It doesn’t take too many times of being excused from the table, before those students figure out what they need to do. I also have a set of procedure and expectation cards that I like my students to go over in the beginning before they start at the table. It provides some visual reminders. So is your head spinning or are you excited and ready to jump in? Trust me, you will be their favorite teacher . . . teacher of the year . 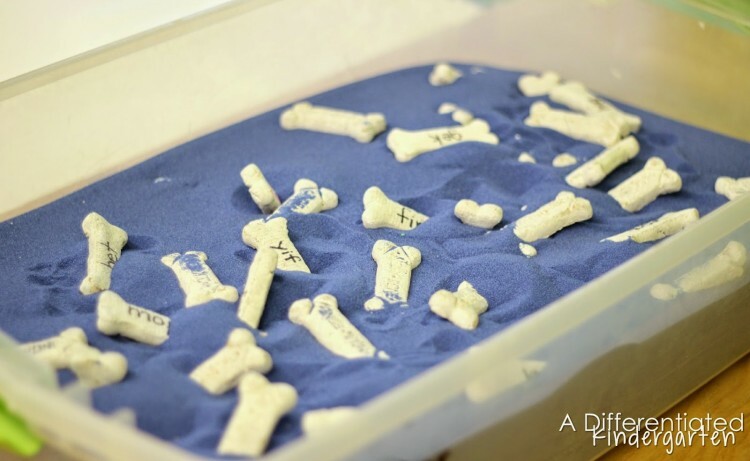 . . maybe of all time when your students get to put their little paws in your table. But if you are still having some difficulties figuring it all out, don’t worry. I have a packet that might help. 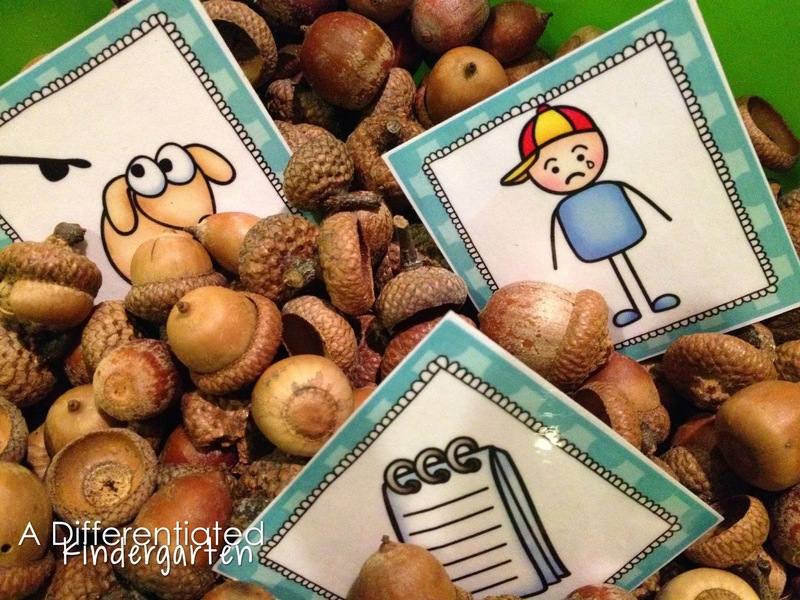 I actually created a Getting Started with Sensory Table Activities for the beginning of the year and early skills. 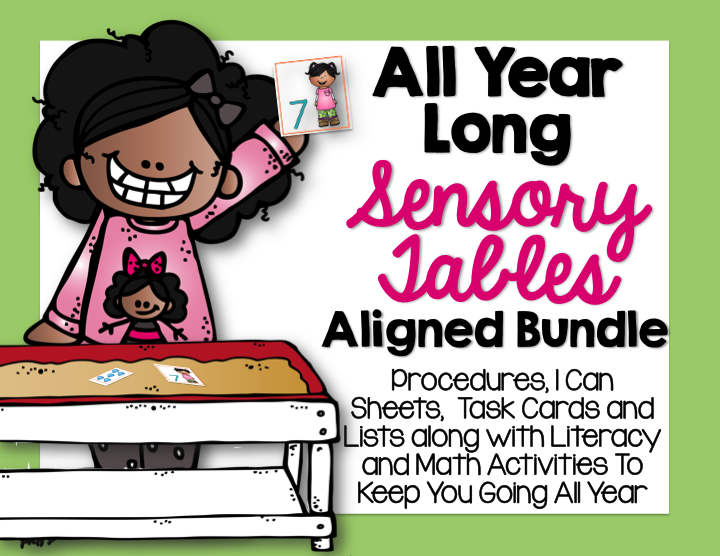 And I also have an All Year Long Sensory Pack which contains everything in Getting Started with Sensory Table Activities, but also will have new materials and activities added to it each month of the year through June so that you always have fresh sensory activities for your students. If you’d like to learn more about them, just click on the pictures and it will take you to my TpT store. 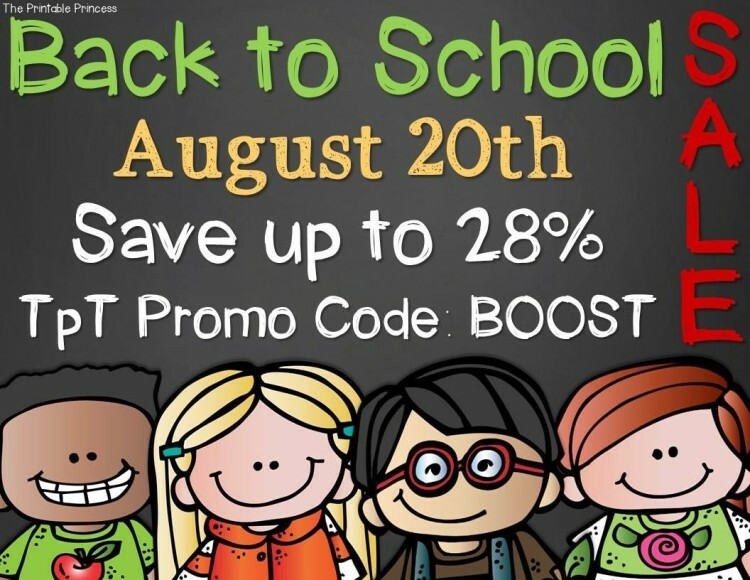 There is a preview there that will give you a better idea of all that is included.And just in time, you can get them on sale during TpT’s Back to School Boost Sale. It’s ONE DAY ONLY!!! Everything in my store is 20% off plus another 10% off when you use TpT’s not so secret sale code: BOOST. It’s a good thing too, because there are a couple of things I forgot to get during the last sale. Just click on the button below to head over to Tpt and start shopping. In the meantime, if you have any questions or comments, just drop me a line and let me know if you find anything AMAZING to add to my own sensory table. Wow! This is a great post! I love your intentionally, organization, and passion for the sensory table. I teach pre k, the sensory table is a part of my daily routine. Thanks for the ideas! OK….I think you have me convinced!!! Now I need to go invade the storage area at school, I’m pretty sure I saw a sensory table out there a while ago!!! Love! 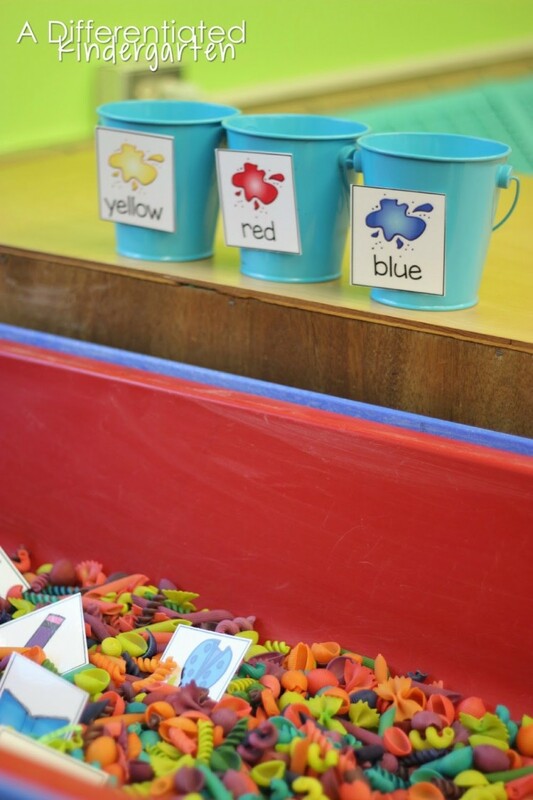 I have always used a sensory table and when I taught K5 I would do beginning sound sorts as part of our literacy stations. Now that I teach K4, I don’t have to hide my use of the sensory table. The water orbs are found at Dollar Tree- where? Called what? A few favorites I fill the table with are coffee beans, scented water using extracts, flour with cinnamon. My favorite sensory table content was a watermelon! cut in half, gave the kids tweezers and had them count how many seeds they found but could differentiate by making groups of 10, sorting the white and black seeds etc. It was a sticky mess but the kids of course loved it! Great ideas Andrea! Thanks so much for sharing. I absolutely love this!! I did sensory tables many years ago when I taught at a child development center, and I have wanted to start a sensory table in kindergarten. This awesome post gives me a great place to start, thank you so much for sharing! Welcome back to the sensory club Angela! Fabulous ideas! I am going to K next week, and there is a sand table in my room. I never had one when I taught K years ago because it was so messy. Now I want to use it, but I think I will use a plastic box to make it easier to change out materials. The other teacher uses hers for play, only with sand. I see you use it more for educational activities. When during the day do your students use it? I used it during math stations and often during Daily 5. Love this wealth of creativity!! Thanks for taking the time to share :). How do you color your noodles? It’s so easy. Stick the noodles in a gallon size zip lock bag. Add 1/4 cup of rubbing alcohol and several drops of food coloring. (I like the neon colors.) Then let them sit for a while…sometimes I let them sit for an hour even. Then dump them on waxed paper or tin foil to dry. Thanks!! I can’t wait to get started :). Thought of you today at Michael’s craft store. They have “glow in the dark” fingers with the nails in orange, purple and green ~ your colors ~ for pointing to words, etc… and not as gross looking as the usual halloween ones. Just had to share! How many boxes of pasta did you use in your table? I don’t really remember. I got them in bulk from Gordon’s Food or Sam’s Club. Sometimes I ask parents to donate a box at the beginning of the year. 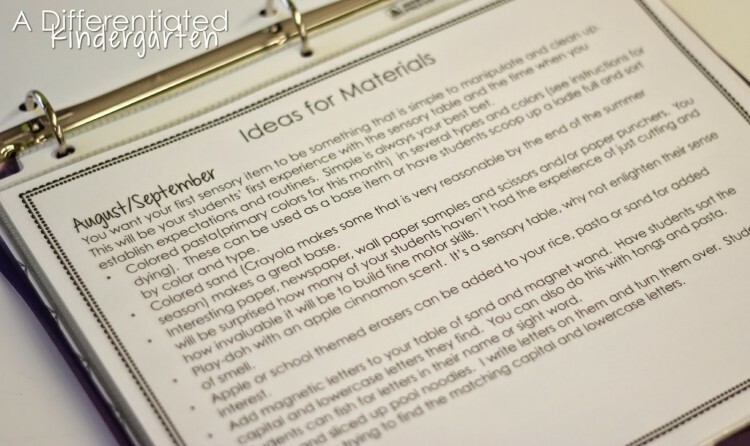 Marsha, I really want to incorporate some sensory activities in my classroom! I love this! 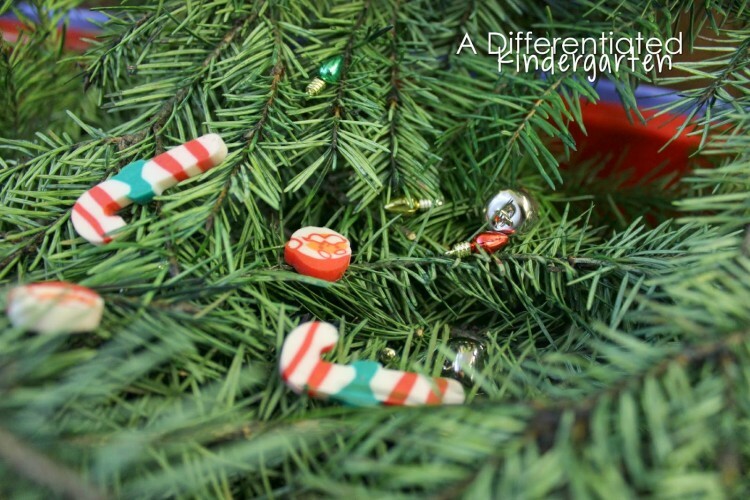 I know you bundled the “Sensory Throughout the Year”, but will you be selling them individually at any point? Thank you! Yes, they will all be sold separately as well as part of the bundle. You just get a bit of a better deal with the bundle. Thanks for the inspiration…I look forward to reading more! Thank you so much for sharing this! 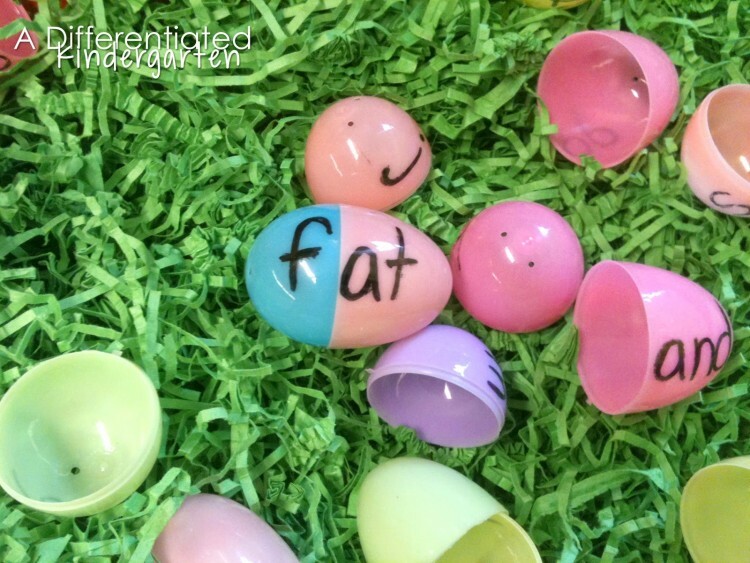 I am a kinder inclusion teacher turned Early Childhood Specialist and I am so excited to see the way you’ve meshed standards with developmental appropriateness. It makes me so sad to see so many rooms without sensory tables. I am definitely going to share your post with my teachers! thank you! 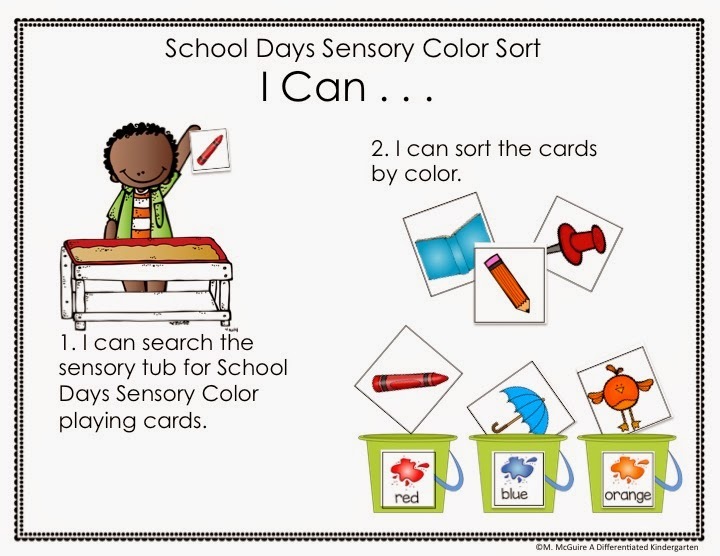 One of my goals for next year is to incorporate sensory tables into my literacy centers. 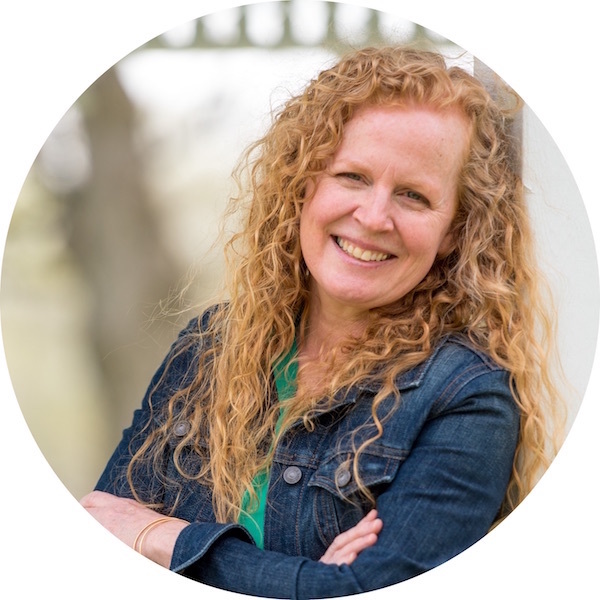 When I mentioned this to my principal she mentioned that she could probably find money in the school’s or PTO’s budget to cover the cost – so exciting! My question to you is how much would it cost to buy the tubs and supplies for a year’s worth of sensory bin activities? Obviously it won’t be a specific exact amount, but a ballpark would be great so that I could go to them with an estimate. Great questions Jackie (and a potential future blog post subject). This is not an easy one to answer, but I can give you some things to consider. First of all, do you have a sensory table or will you be going the tub route or are you doing both? 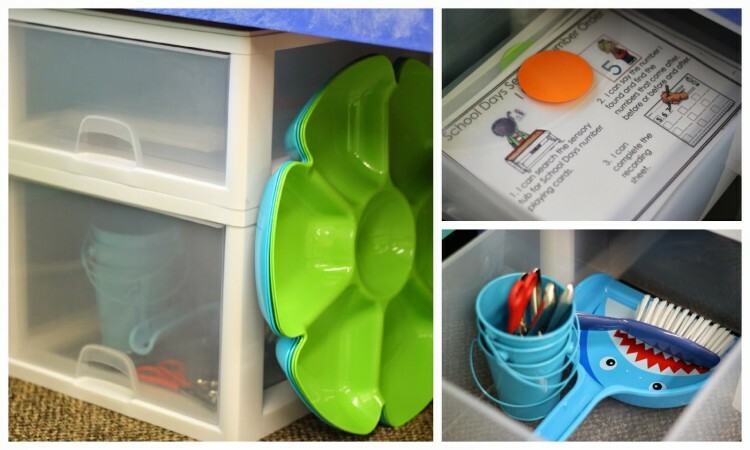 You don’t have to have a table to do sensory activities, you can get low sided totes with covers (I think they are for under the bed storage), and they are a great alternative. 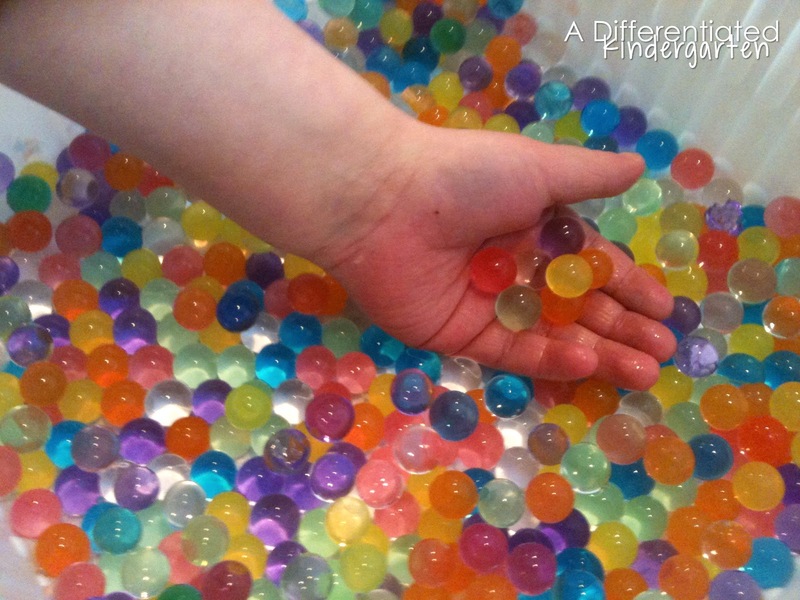 I also have a smaller version of these that I use for a two person or one person sensory tub activity. As for fillers for the year, at the beginning of the year I have my full year kind of mapped out of what I will using. Many many many things can be used more than one year, some things can be gleaned from nature and still other things I request parents to donate if they are able. For instance, I live in Northern Michigan so my hunting dads and moms always are willing to donate a bag of dry eared corn for my table. I also aways ask for pasta and a bag of beans. Pasta is cheap . . . especially when you aren’t buying the tri-colored type. I can always get lots of it. I dye it based on the theme or holiday. Rice is another thing you can request although I have been using some of the same rice for the last 3-4 years. There is so much alcohol in it when I dye it and my kids always wash their hands before and after. Other items like shredded paper and the like, I throw out. It just depends. I also have some scoops, tongs, magnifying glasses that I use for exploring in the sensory table and for activities that I have going on in there. I’m not sure if this helps, but if you have other questions, you are welcome to contact me. Good luck and have a ball!!! I loved the fall idea with the acorns/corn. A word to the wise though, I tried that this year, I went in on a weekend to put it together because I was so excited to get it all set up (I have a table similar to yours with beans in it and put the acorns along with corn and fake leaves in a small tub for an extra table.) I put my sorting cards in it and then was soooo disappointed on Monday morning! 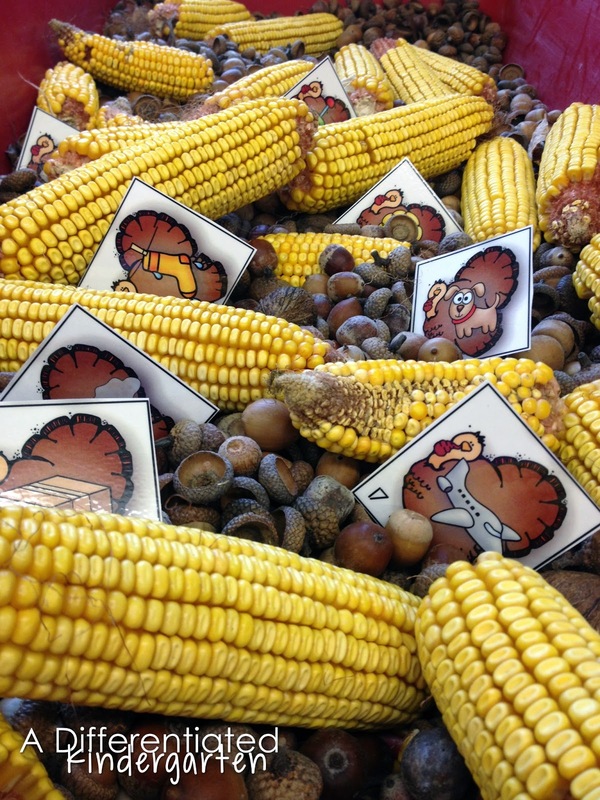 The acorns and corn had turned my cards moldy and it all stunk so badly, not to mention worms…eeek!! So be super careful if you use these, I have several kids with bad allergies so I had to throw it all away. None of it was wet when it was put in so I’m not sure what happened but it was horrible! Kim, thanks for your comments. Yes! You have to have dry product to put in your bins. Also, when I collect acorns, I always stick them in a large plastic bag in the freezer for a couple of days to kill any critters that might be lurking about. That usually always does the trick. 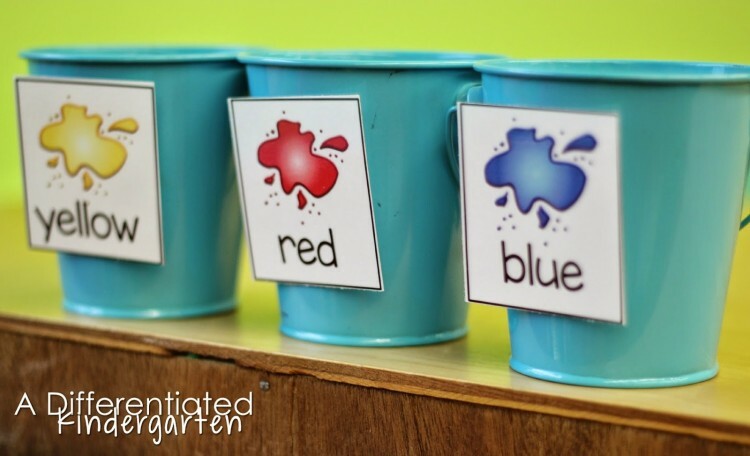 I just found you through Pintrest and am so excited about using a sensory bin with preschool and kindergarten special needs children in speech therapy. 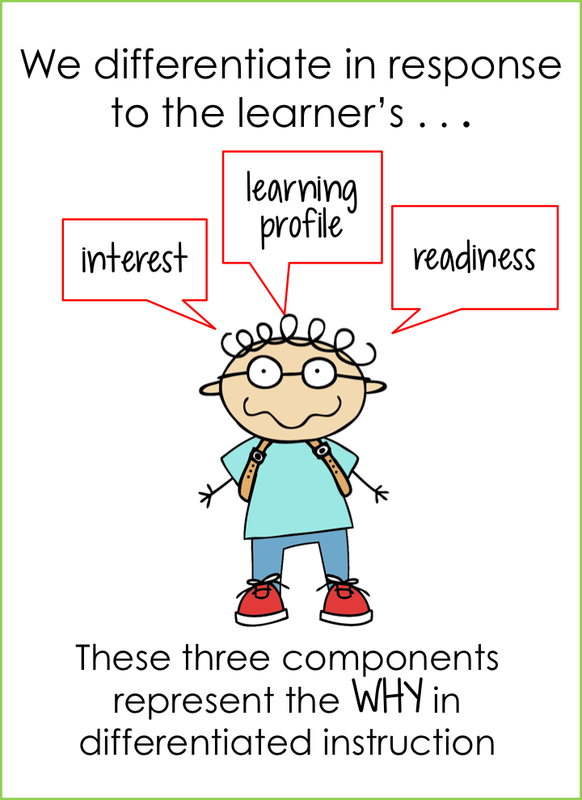 I have IEP goals to target oral language, listening comprehension, play/social skills, sensory needs, attention, behavior… I have tons of ideas for themes, books, and seasons but I want to start simple. I have an extra under-the-bed box I’m taking up to school to use. I’ll be able to pull it out from under my desk and use it over and over. I don’t want to overload the little ones with bright colors, smells or textures (especially since I don’t know them yet). Any suggestions on where to start? would love to hear comments. thanks. I like to start with colored pasta or just some different dry beans. If you think the pasta colors are too distracting beans is probably the way to go. 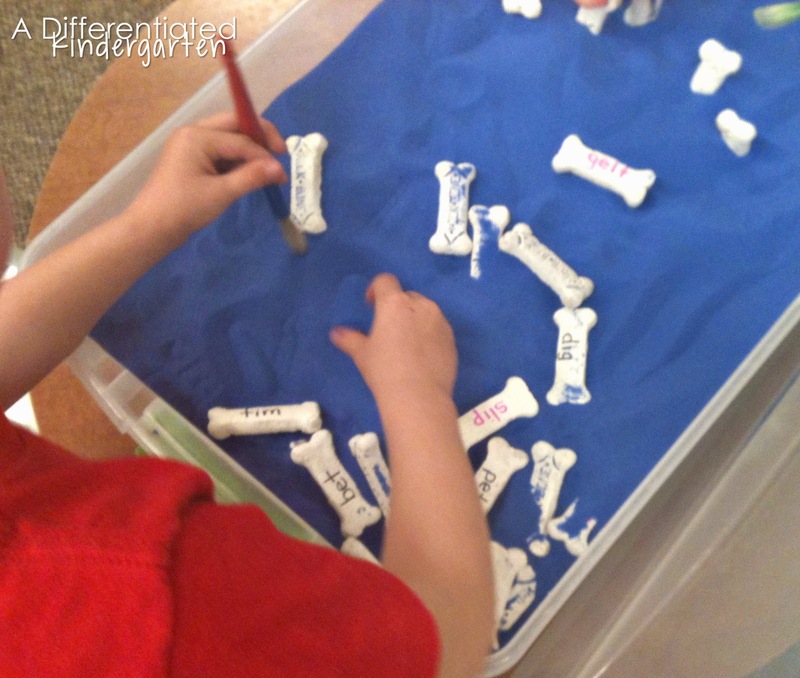 They are easy to clean up and students can still get in there work with them in different ways. Good luck. Let me know if you have any questions. Wow Marsha. Thank you so much for this post. It has been eye opening for me. I am just a mom who loves to volunteer at head start and I am now pursuing my CDA Credential. I am a firm believer in Sensory Tables. My son who has SPD was classified as a kinesthetic learner because his OT uses them in therapy. Once we adapted his routine to fit his way of learning he has thrived. He is going now to Kindergarten and I cannot wait to talk to his teachers and the teachers in Head Start about incorporating Sensory play more frequently. I will come back for more. Again, thank you so much; it is nice to know there is other people interested in this important tool out there. What a wonderful comment. I’m so glad you liked the post and found it useful. 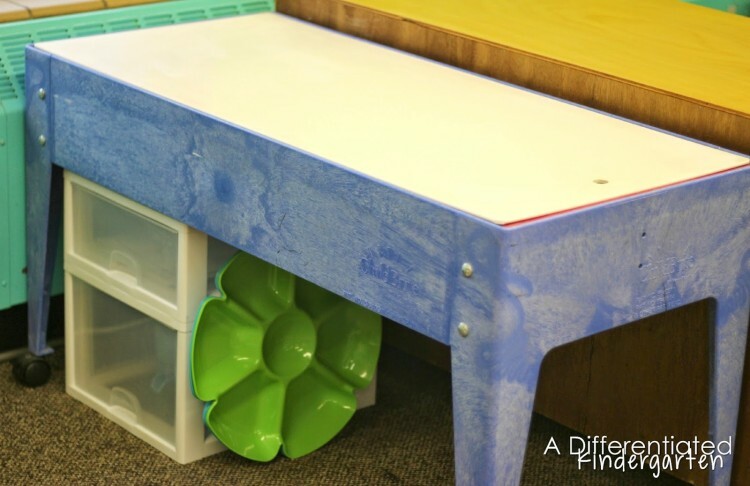 Hi, I stumble upon your post while looking for ideas for sensory bin. Thanks for explaining in details about what sensory bin is really all about and I like the instruction sheets you created! I’m homeschool my boy and I am integrating sensory bin into his routine. 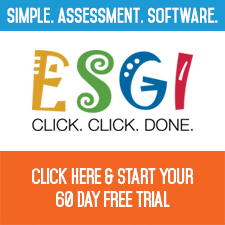 I would like to know, how often should I do sensory bin activities, once a week or daily? And how long the bins stays for- a day or throughout the week? I actually have several small bins going at one time. They usually last at least a couple of weeks and then I switch them out but it really depends on my kids and how they are progressing. I’m sold! 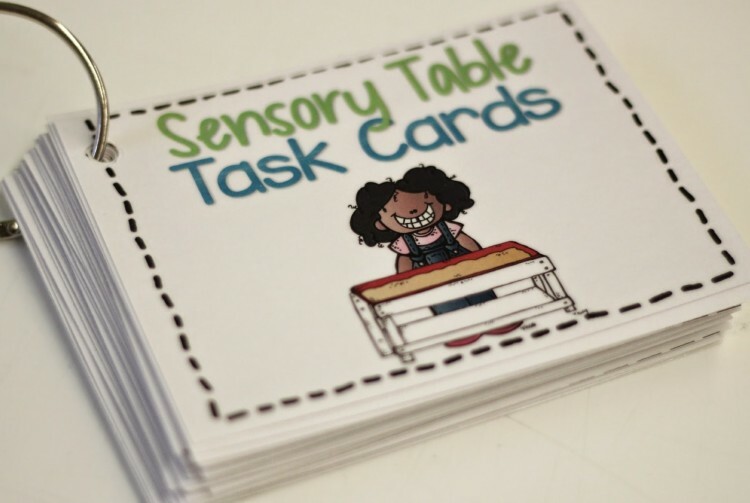 I bought a sensory table with my budget this year, and I’m currently printing all the task cards  Just wondering how you keep your years worth of task cards stored and organized? I’m working on getting it all set up this summer, and want to be ready come fall! I actually file them amongst my monthly themed tote boxes. So when a new month comes up, I have all the activities for that month available to pick and choose from.